Dr. Rosemary Rizq is a Chartered Psychologist, an HPC Registered Counselling Psychologist and a Senior Practitioner Member of the British Psychological Society's Register of Psychologists Specialising in Psychotherapy. She is also a UKCP registered Psychoanalytic Psychotherapist. She is Professor of Psychoanalytic Psychotherapy in the Department of Psychology at Roehampton, where she teaches psychoanalytic theory and practice for trainees on the PsychD. Counselling Psychology programme. She is also engaged in clinical and research supervision. Rosemary was Specialist Lead for Research and Development for NHS Ealing's Mental Health and Well-being Service for many years, and was also Adult Psychotherapist at North-East London Foundation Trust's Forest House Psychotherapy Clinic. She now has a part-time private practice in West London where she offers psychotherapy, counselling and clinical and research supervision. Rosemary was Submissions Editor for Psychodynamic Practice 2004-2010 and is now on its Editorial Advisory Board. She is a regular reviewer for the British Journal of Psychotherapy, British Journal of Guidance and Counselling and The International Journal for Psycho-Analysis. She writes on unconscious organisational dynamics, clinical practice and training and the relationship between psychoanalysis and literature. PhD, BSc, MSc, C. Psychol. AFBPsS. FHEA. Chartered Psychologist, British Psychological Society. Associate Fellow of the British Psychological Society. BPS Register of Psychologists Specialising in Psychotherapy with Senior Practitioner Status. EFPA European Certificate of Specialist Expertise in Psychotherapy. Rosemary's current research interests are in three main areas: psychotherapeutic training and clinical practice; the organizational dynamics of public sector services; and the relationship between psychoanalysis and literature. She is particularly interested in supervising doctoral projects in the field of personal development using qualitative methodologies. 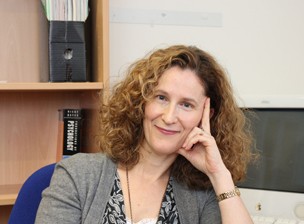 In addition to supervising doctoral projects at Roehampton University, she has been external research supervisor for doctoral and masters-level trainees at City University, University of Oxford and the Metanoia Institute. She undertakes external examining for Lancaster University (DClinPsych), Brunel University (PhD), City University (PsychD), University of the West of England (UWE) and Regent's College (DPsych). UKCP Psychoanalytic Psychotherapist (Council for Psychoanalysis and Jungian Analysis section). Member of the College of Research Fellows, International Psychoanalytic Association. 'Let's just pull the bones out'. How CBT therapists experience personal therapy in clinical practice. The wager of faith in literature and psychoanalyis: Colm Toibin's 'The Testament of Mary'.